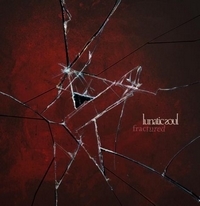 Mariusz Duda is now presenting the follow-up of Fractured, his last years Lunactic Soul release. Under The Fragmented Sky was recorded at the same time, same studio. It's like the next chapter. The album opens with He av En, and it's an unusual opening. Two voices singing, but no words, accompanied by a tone. Monotone at first the tune develops into an intense song. A bit confusing. But then Trials kicks off with a heavy humming sound, electronic sounds and drums join in - and finally Mariusz Duda starts singing. It's still kinda moody, like Fractured, but with the repetitiveness of the new tracks it gets a different feel. It's still dark and moody, but also lighter. Even is Trials is almost threatening towards the end. A guitar dominates Sorrow, a short instrumental, an interlude. At Under The Fragmented Sky the touching vocals are back and so connect this release with the predecessor. Rinsing The Night has an instrumental with an Oriental touch, woven into the thick bass sound and synth sounds. The Art Of Repairing seems to skip and is a bit strange... somehow make me think of Kraftwerk... But while keeping the opening theme, Mariusz Duda adds some Tangerine Dream like sounds and creates a new soundscape. The closer Untamed could have been also the closer of Fractured, it's mainly acoustic guitar and vocals. At this tune Duda welcomes Wawrzyniec Dramowicz (aka Vaaver) on drums. Everything else on this mini-album is by Mariusz Duda. While Fractured is easily accessible for the listener, Under The Fragmented Sky can be quite challenging. Lunactic Soul can be everything, it's simply Duda's musical vision at that time of his life. Let's see what he'll have for his fans next time! 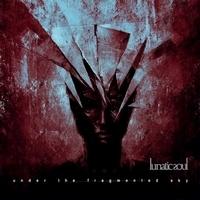 Mariusz Duda, known as the mastermind of Riverside, founded Lunatic Soul to have an outlet for his creativity. Now he presents Fractured. In the case of Fractured he had to overcome a personal tragedy. He kinda came back to life after what happened in 2016 and this is his way to cope with it. And so it's no surprise that the songs have a dark edge.... moody feeling. He kicks off with Blood On The Tightrope, a progressive tune with electronic elements. But it's Duda's voice who gives the song it's character. Towards the end the bass line is picking up speed and starts to dominate the tune. It's like something threatening is coming closer - and than it's gone. Anymore is dominated by electronic sounds and the fat bass line as a counterpart. It's like a fight, an inner fight of Mariusz Duda following the tragedies. The songs are somehow minimalistic, even if here and there he adds something to the basics - like the strings at Crumbling Teeth And The Owl Eye and saxophone played by Marcin Odyniec at Red Light Escape - and overall it's his vocals, his lyrics which make this album so intense. The title track is picking up speed and offers some almost hypnotic sound elements. With A Thousand Shards Of Heaven he presents the longest track, a slow tune with acoustic guitar and strings by Poland's Sinfonietta Consonus Orchestra. The song is full of sadness, but also carries a spark of hope. In the middle of this opus he picks up speed and ends in a mid-tempo passage dominated by Duda's bass accompanied by saxophone occasionally. Duda is focusing this time on moods, his vocals and enriches the musical journey with electronic sounds and sparse instrumentation. But also surprises the listener every now and then.